Liverpool centre-back Virgil van Dijk is expected to be fit after suffering a minor knock in Friday’s 3-1 league win at Southampton. Midfielder Georginio Wijnaldum could also feature despite a minor back injury, but Adam Lallana is likely to miss out with a muscle issue. Klopp said defender Joe Gomez, who has been sidelined since December, “won’t play unless he has to”. But Porto will be without a number of key players for the encounter. Key man Alex Telles is back in training but it remains to be seen whether he will be passed fit in time – while Fabiano, Jorge and Marius Mouandilmadji are also on the sidelines. Boss Sergio Conceicao has 19 players at his disposal at present, three of those being goalkeepers. Liverpool have never lost a European match against Porto in six previous encounters (W3 D3). Porto have never faced an opponent in the Champions League more often than Liverpool without winning (four games), also failing to win in four matches against Zenit St Petersburg and Juventus. 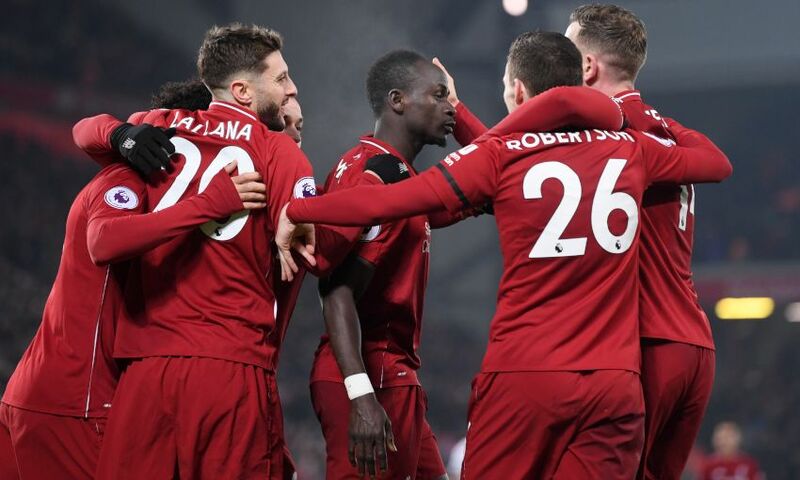 Liverpool’s Sadio Mane has scored 69% of his Champions League goals in the knockout stages of the competition (9/13); of players with at least 10 goals, only Ivica Olic (7/10 – 70%) has a higher such percentage in Champions League history. Should he appear, Mane will make his 20th Champions League appearance, scoring 13 goals in 19 games. Only five players have scored more than 13 goals in their first 20 matches in the competition’s history: Alessandro del Piero (14), Ruud van Nistelrooy (16), Andriy Shevchenko (14), Jari Litmanen (14) and Roberto Soldado (16). Milner has recorded 10 Champions League assists since the beginning of last season, more than any other player. Since 2003-04, only three other Englishman have registered double figures for assists for a single side in the competition: Frank Lampard (Chelsea), Wayne Rooney (Manchester United) and Steven Gerrard (Liverpool). All of Liverpool’s 12 goals in the Champions League this season have come from inside the box, the only side left in the competition yet to net a goal from outside the penalty area. The nine goals Porto have conceded in the competition have also come from inside the box. Liverpool have progressed from four of their past five quarter-final appearances in the Champions League between 2004-05 and 2017-18 – only in 2008-09 did they fall out at this stage after a 5-7 aggregate defeat by Chelsea. Porto striker Moussa Marega could become the fourth player in Champions League history to score in seven successive matches in the competition, after Edinson Cavani, Ruud van Nistelrooy and Cristiano Ronaldo. Porto have failed to win any of their past 12 away knockout games in the Champions League (D4 L8) since a 1-0 victory at Deportivo La Coruna in 2004. Porto won the competition that season under manager Jose Mourinho. Tottenham will be without midfielder Eric Dier (hip), forward Erik Lamela (hamstring) and full-back Serge Aurier (hamstring). Forward Fernando Llorente is back in the squad after he missed out against Crystal Palace last week with concussion. Tottenham have not faced an English team in a European competition since April 1973, when they faced – and were eliminated by – Liverpool in the 1972-73 UEFA Cup semi-final. Manchester City have lost all four of their European matches against English opponents, losing both legs of the 1970-71 Cup Winners’ Cup semi-final against Chelsea and both legs of last season’s Champions League quarter-final against Liverpool. 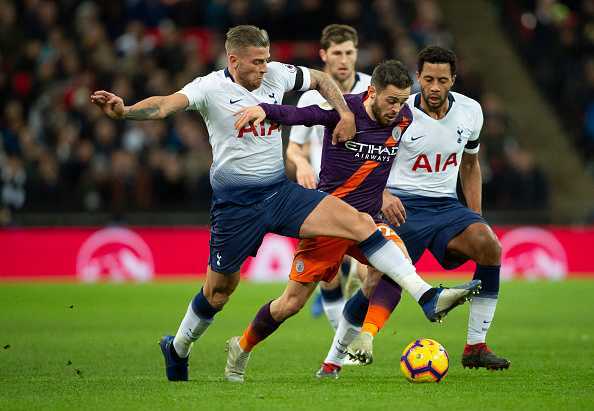 This is the first ever European meeting between Tottenham Hotspur and City in what is the 157th meeting between the teams in all competitions. City have won 11 of their last 16 matches against Spurs (D1 L4), with all those meetings coming in the Premier League. Spurs are competing in only their second Champions League quarter-final, losing previously 0-5 on aggregate to Real Madrid in 2010-11. Tottenham striker Harry Kane has been involved in 17 goals in 17 Champions League appearances (14 goals, 3 assists). City boss Pep Guardiola has won 26 of his 52 Champions League knockout matches, just one behind the all-time record held jointly by Sir Alex Ferguson, Jose Mourinho and Carlo Ancelotti (27 wins).